Rustic materials, industrial accents and simplicity are design trends making their way into our homes and businesses in 2015. 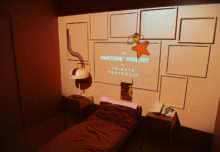 And, not surprisingly, experiential marketers are tapping into these influences to make hip, industrial style statements like those found in the warehouses of Brooklyn and Manhattan’s gritty Lower East Side. Shipping containers, polished steel combined with wood and high-tech touches are a few of the “industrial cool” design elements running throughout many of the entries in Event Marketer’s 2014 Event Design Awards (subscribe to get our full report on all the winning programs, coming in the March issue). Here’s a closer look at the industrial cool trend in action. 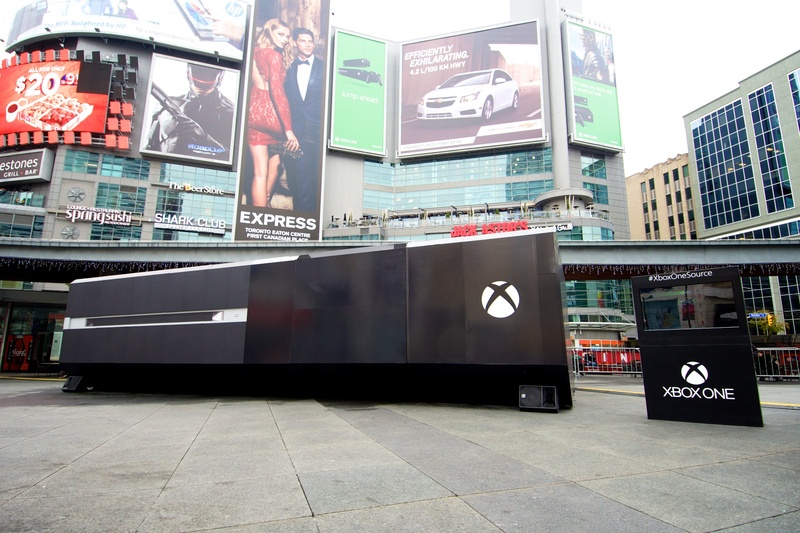 • At least two brands in this year’s winner lineup deployed shipping containers to full effect, including Microsoft’s Xbox, which transformed a rugged, industrial container into a near exact replica of an actual Xbox One. 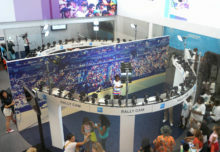 The result was a 20-foot wide, nine-foot tall, 25,000-pound gaming console that housed 14 gaming stations. 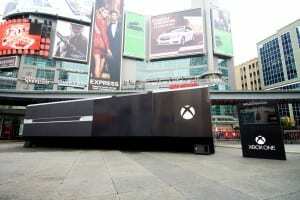 The massive console was built overnight in central spaces in Montreal, Toronto and Vancouver where it engaged gaming fans (Agencies: Mosaic/The Taylor Group). 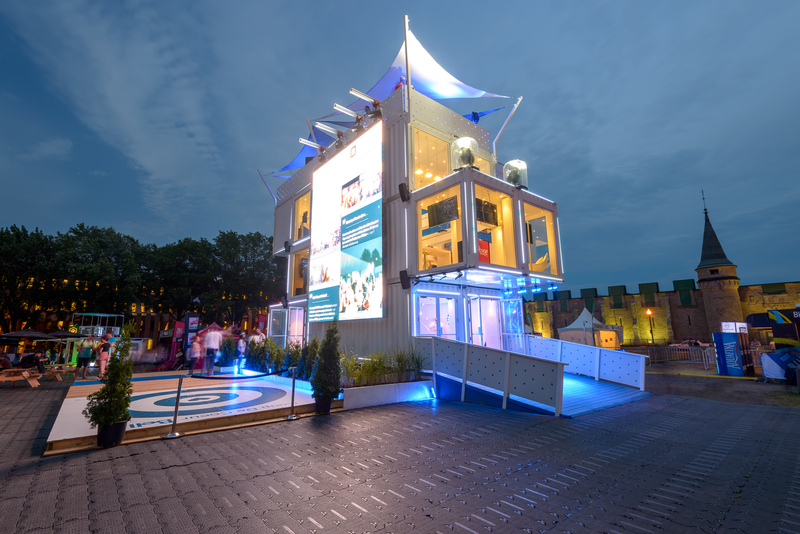 • Bell Canada arranged six shipping containers into a 40-foot tall structure to attract attendees at festivals in Montreal, Quebec and Toronto and convey its brand image as a cutting-edge, digitally savvy telecom. A smooth white finish over the raw steel of the containers reflected a cool blue glow, and the contemporary mix of metal and wood completed the industrial look. 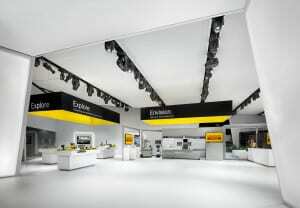 Inside, a clean, modern environment set the scene for a high-tech experience (Agency: Loki Box Design). 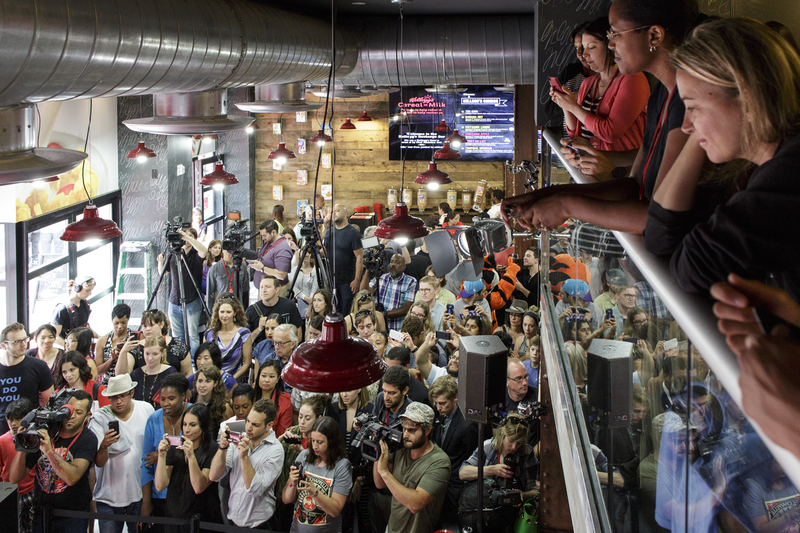 • Back in the U.S., Kellogg’s transformed a former restaurant space in New York City into a Recharge Bar where it served up to 1,000 bowls of cereal and milk. Reclaimed wood and wood-printed wall coverings provided a warm, rustic ambiance while metal, including bright red metal stools for consumers, added an industrial touch (Agencies: United Entertainment Group, Krispr Communications). • Trade show exhibitors got into the modern industrial vibe as well through the use of glass and lots of white, sleek finishes. Sandvik Coromant, a manufacturer of metal cutting tools, at the 2014 International Manufacturing Technology Show, held at Chicago’s McCormick Place, created a high-tech environment similar to that of a high-end manufacturing facility. Simple, monolithic shapes created a powerful statement on the show floor, along with a clean layout, minimal colors and dramatic architecture. 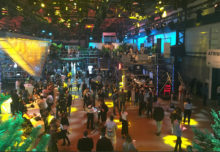 But the biggest hit was probably the interactive displays where attendees could get up close and personal with the tools and get questions answered by experts in yellow lab coats (Agency: Cznarowski).